Greetings, Stampers! I have a very, very simple card to share with you today. If you follow my blog you know that my Mom passed away about a month ago. There were several people that I wanted to acknowledge that took exceptional care of her during her final days, particularly the people at hospice. I wanted to make something pretty but easily mailable and easy to mass produce, so I made of stack of these cards. 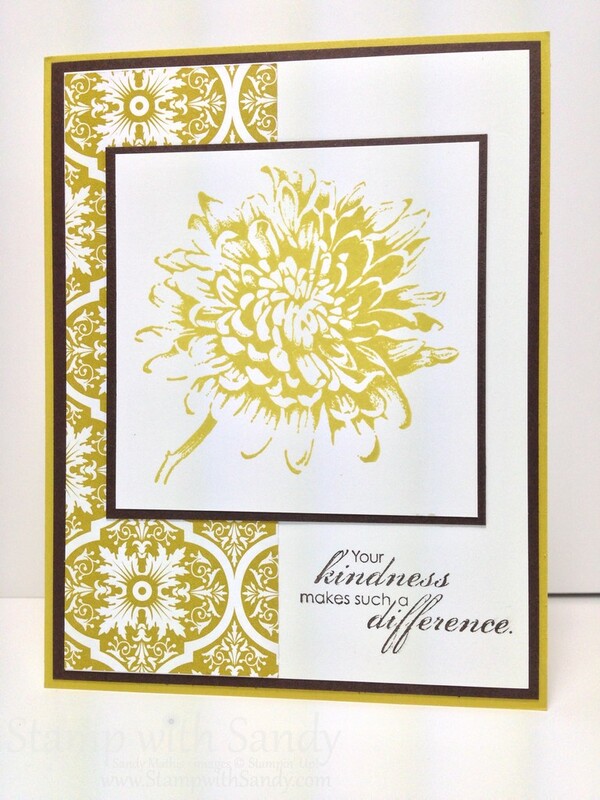 It features the beautiful Blooming with Kindness Stamp Set. The DSP is called Sycamore Street and was available during Sale-A-Bration. 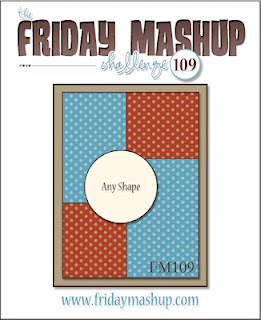 The Friday Mashup this week is to create a project using "the sketch", create a "set of cards", or Mash it Up and create a "set of cards using the sketch". I didn't use the sketch but here is my set of cards. I love this color combination: Whisper White, Early Espresso and Summer Starfruit. Sorry, this photo of the set of cards came out kind of yellow-ish and now I can't retake it because I already mailed off all but one! This is a great card, Sandy! It is very pleasing to the eye, with just the perfect color for the flower. I'm sorry to hear about your mom; my condolences. Thanks for joining the Friday Mashup this week. 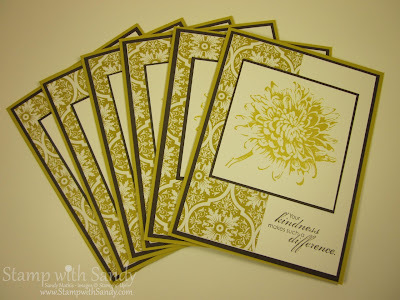 Very pretty set of cards - that stamp set works perfectly with the papers. So sorry to hear about your mom - I'm sure the people who receive these cards will really appreciate the time you took to make them. Thanks for playing along with the Friday Mashup this week. These cards are so pretty. I love them. Very pretty cards, and I am so very sorry to hear about your mom. You are in my thoughts. Thanks so much for joining us at The Friday Mashup. 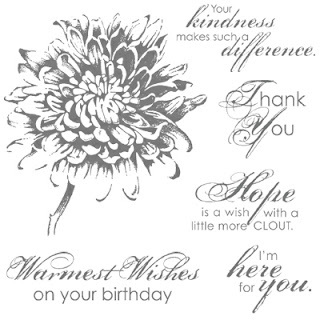 Your card is beautiful! Great use of that stamp set. I am so sorry to hear about your mom.God bless you! Thanks for playing along with us at the Friday Mashup this week.